Batsheva de Rothschild was a biologist, trained at the Sorbonne, Paris and at Columbia University, New York. She worked for a while at the Pasteur Institute, Paris. During World War II, Bethsabée joined the Free French Movement at its office in New York and volunteered for its armed forces. Assigned to London, she landed in Normandy during the Allied invasion, eventually reaching Paris, where she served as liaison between the French and the United States military forces. As a frequent visitor to the young State of Israel in the 1950s, she met with Prof. Ephraim Katzir (Weizmann Institute) and Prof. Alex Keynan (Hebrew University), who convinced her of the acute need to support basic research in Israel. 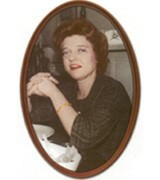 In 1958, she established the fund bearing her name, which she personally headed with great devotion until her last days. The Batsheva Fund was established as a private endowment fund, first in New York City and afterwards, in 1965, in Israel. In 1993 she generously transferred the fund to the Israel Academy of Sciences and Humanities. In 1958 she became the only one ever, from her legendary family, to settle in Israel and became active in public life. Science and the arts were the two loves of this exceptional woman. In 1989 she was awarded the prestigious Israel Prize for her many contributions to Israeli society, among them the founding of Israel’s Batsheva and Bat Dor Dance Companies. The Batsheva Fund’s purpose is to further Science in Israel for the people of Israel. It operates through a five-member Directorate. A Panel of Advisors, comprised of Israeli scientists of several disciplines, is appointed to guide its scientific activity. The President of the Academy serves as its President. From its onset, the Fund was a uniquely flexible and proactive one, constantly shifting to meet the emerging needs of Israeli science, and laying the groundwork for others to follow. Starting with applied projects in medicine and agriculture, it shifted to awarding small research grants for young scientists and was one of the first to address the subsequent large immigration of Russian scientists. Later the Fund provided seed money to help catalyze special (and subsequently large) Israeli projects involving human genomics, high energy physics and the applications of synchrotron radiation. From 2002 to 2007, it funded an innovative Researcher-Physician Fellowships program to promote clinical research. As of the summer of 2011, the Fund embarked on a new, 3-year project to provide support for basic research in the Earth Sciences. From the beginning, the Fund has supported annual Batsheva Seminars in cutting-edge areas of science, involving leading experts from Israel and abroad. Over the last 40 years, over 10,000 (mostly young) scientists have participated. Current interests have included evolution, MEMS and clinical research. Anticipating future trends, the Batsheva Seminars have had a marked impact on the development of new fields of basic science in Israel.